The privacy of our clientele is strictly protected. While we reserve the right to use images from our contracted events in our advertising and website, we take such actions with careful consideration of how it may impact our clients. 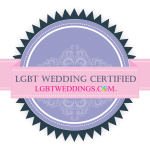 Donnie Brown Weddings and Events respects each individual’s right to personal privacy. We will collect and use information only in the ways disclosed in this statement. This statement applies to information collected at Donnie Brown Weddings and Events’ Web site, through business contracts, and through industry connections. Donnie Brown Weddings and Events collects information through our Web site using our online contact form. We collect the following information about visitors: Name, Email Address, Day and Evening Phone Numbers, Event Date and Time, and Type of Event. Other information may be collected through private forms on our site, for clients who request a custom wedding website or custom monograms. We may also collect phone, address, and billing information which our users divulge about other people and themselves when meeting with clients for consultation. Donnie Brown Weddings and Events does not actively market to children, and we never knowingly ask a child under 13 to divulge personal information. We collect the following general data that is not personally identifiable information: keywords used in search engines prior to clicking on any URL that points to any location on this domain name, referring domain names (search engines, or other sites with a link to Donnie Brown Weddings and Events), the network/domain from which each visitor is coming, the originating country of each visitor, the browser type and version of each visitor, the operating system of each visitor, the entry and exit points of each visit to the site, the click-through paths of said visits, and the length of said visits. We collect demographic data in order to examine the effectiveness of our website and other marketing tools. We verify the accuracy of billing information using standard practices for authorizing and processing credit card and check payments for all contracted services. All personally identifiable information is collected voluntarily. To receive our products and services, information including, but not limited to, contact and billing data, event date, time, and location is mandatory in order to ensure services and product availability, and to prevent double booking. Other information we request may be optional or mandatory, based on what services or products are being contracted or ordered. We may employ cookies. A cookie is a small text file that a Web server places on a user’s computer hard drive to be a unique identifier. Cookies enable Donnie Brown Weddings and Events to track usage patterns and deliver customized content to users. Our cookies may or may not have an expiration date. Our cookies do not collect personally identifiable information. The information collected by Donnie Brown Weddings and Events will be used for producing floral and event decorations and to provide event coordination and consultations, be they commercial or private. Information may also be used to create advertising campaigns, analyze Web site traffic, or to generate other statistics. Client and company names may be placed on our website’s notable clients list (should we decide to include such a list), unless the client objects. Registered/contracted users may receive additional announcements from us about products, services, special deals, and a newsletter, only when such communications directly relate to an existing or pending contract with said users. Out of respect for the privacy of our users we present the option to not receive these types of communications, though doing so may inhibit our ability to produce contracted services and products. The information we collect will not be used to create customer profiles based on browsing or purchasing history. We may, as necessary, supplement information collected at our Web site, or during consultations, with data from other sources such as credit history to authorize purchases. We may share data with the following third parties: banks, credit card processing agents, and wedding and event professionals who are working on the same event. No sensitive information, such as credit card information, checking accounts, etc., will be divulged to any third parties, unless the information is required to process payments, as in the case of credit card processing agents or banking institutions or to make authorized payments to vendors on behalf of the client. If our policy on information collection or uses changes, this page will be updated accordingly. Donnie Brown Weddings and Events will make every attempt to maintain the accuracy of our information. Where and when appropriate, users may access their own personal information and contact us about inaccuracies they may find. If problems arise, users may contact Donnie Brown Weddings and Events by phone or by using the online contact form . We are committed to resolving disputes within a reasonable amount of time. Donnie Brown Weddings and Events protects user information with the following security measures: access to online contracts is granted only through SSL encrypted URLs (if and when such access is made available to clients); passwords to contracts are given to the client, only in person, and only during consultations.